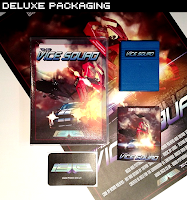 Remember the 1980's action-packed, vigilante-cop car-chase movie "The Vice Squad"? No? Well, that's because it doesn't exist - but if it did, this game would be worthy of the official licence! Developed by Achim Volkers and Trevor Storey, this latest collaborative release from Psytronik Software and RGCD is all about high octane motors, big guns, risky high-speed vehicular pursuit and deadly force. Play the role of Captain James Hutch as he takes on the might of the ruthless drug baron 'El Guato'. The baron has infiltrated and spread corruption through the highest ranking positions within the police force and local government, meaning that you, your partner and your tricked-out squad car are all that stands in the way of El Guato and his henchmen taking control of the city. You've never dealt with a villain this powerful before but that won't stop you from bringing his empire to its knees! To load The Vice Squad cartridge, turn off your C64/128/GS, insert the cartridge and turn the computer back on. The game intro will load automatically. You can press fire on the joystick plugged into port two after the intro screen is displayed to bypass the rest of the introduction. Please note that after the intro it takes around 15 seconds to unpack the game binary into the Commodore 64's RAM. 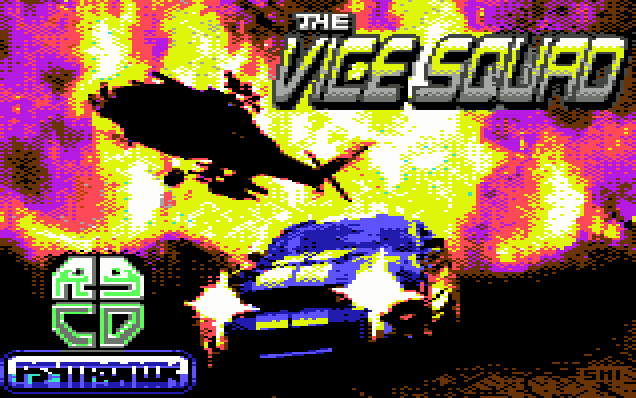 The Vice Squad is a PAL only game, and has been confirmed working on the C64, C128 and C64GS. For emulator users, we recommend VICE, as it works on a variety of systems and is very user friendly. Just download the emulator and attach the .crt image from the file menu. If you have a disk drive connected to your Commodore 64, you will have the option of saving/loading scores to/from disk. To do so, simply ensure a disk is in the drive and select the appropriate option when prompted. 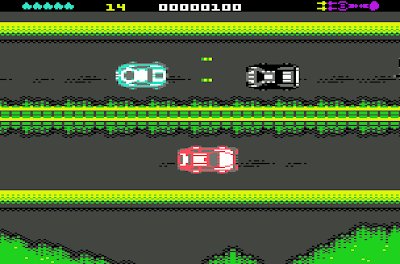 Please note that playing The Vice Squad carries a risk of developing High Speed Pursuit Syndrome. This is a condition that police officers may suffer from during a high speed chase, during which the high levels of adrenaline may cause them to become violent, ultimately leading them to carry out deadly force on a suspect or civilians at the end of, or during, a police pursuit. 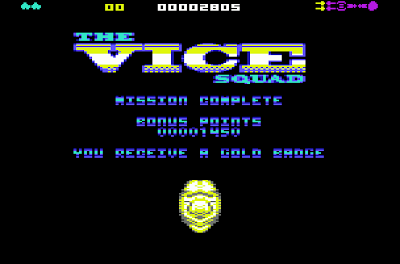 The Vice Squad is split into nine separate missions. You will be given a briefing at the start of each mission and must carry out the instructions in order to complete the level. If the level contains a boss encounter (i.e. gun truck or tank) you must negotiate the level for a certain amount of time before the boss battle begins (the music will change and the boss will appear). Note that you lose points for destroying civilian vehicles. Although it is undoubtedly fun to empty both magazines of your side-mounted machine guns into a Sinclair C5, this practice should be avoided if you'd like to see your name on the high score table. Use a joystick in port 2. After destroying eight enemy cars (coloured black) during a single life, the last one will drop a power-up when destroyed. If you miss this, you'll have to destroy another eight enemies before it comes round again, so pay attention! Once collected, the weapons system installed in your squad car will automatically upgrade. However, losing a life will cause the system to downgrade to the previous level. MISSION 1 - Take out 15 black unmarked vehicles. MISSION 2 - Destroy El Guato's gun truck. MISSION 3 - Take out 20 black unmarked vehicles. MISSION 4 - Destroy El Guato's super-gun truck. MISSION 5 - Take out El Guato's Tank! MISSION 6 - Take out two Limo's carrying gang members. MISSION 7 - Destroy the drug-carrying helicopter. MISSION 8 - Take out the super-tank before it destroys the financial district! MISSION 9 - El Guato has stolen a STEALTH BOMBER - Save the city!! 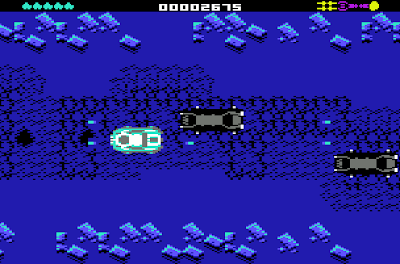 Note that the player receives a bonus life after completing mission 3 and mission 6. GOLD - 0-3 civilian vehicles destroyed. SILVER - 4-6 civilian vehicles destroyed. BRONZE - 7(+) civilian vehicles destroyed. Achim's work log shows that he's been working on The Vice Squad fromJanuary 27th through to October 18th 2013, interrupted only by two holidays, moving house and a fat cat that loves to sleep on his keyboard every time he's coding. The game originated from Trevor Storey posting a thread on the Lemon64 forums, looking for a coder to work with whilst his usual collaborator Georg Rottensteiner continued work on Hyperion. A big fan of the Spy Hunter arcade game in the early 1980's, Achim "simply had to do it" after seeing the mock-up screenshots. 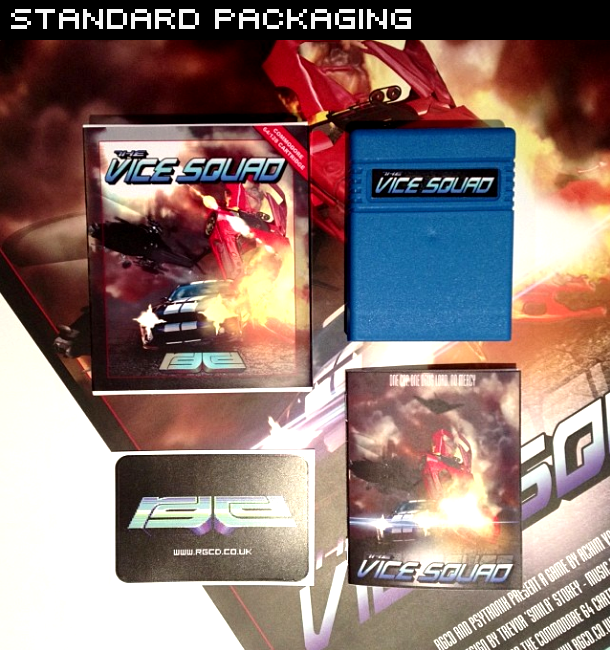 To date, The Vice Squad is the most complex game Achim has completed. He insisted on it being a one-filed game, because "in a shoot 'em up you want to shoot and don't wait for the next level to load". As it turned out, The Vice Squad fits perfectly into 64KB. Below is a promotional video created for the game by Jason 'Kenz' Mackenzie of Psytronik Software. 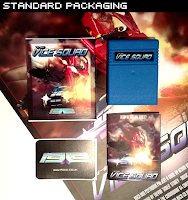 The Vice Squad is an Achim Volkers/Trevor Storey production, Copyright 2013. Published on 64KB C64 cartridge by RGCD, 2013. Published on disk and cassette by Psytronik Software, 2013. All Rights Reserved. The cartridge version is available to buy from our shop. The 64KB PCB is housed in a blue cartridge shell, and the game comes complete with a printed manual, an A3 poster (folded) and a vinyl RGCD sticker. Please note that Pystronik Software are also selling the game on premium/budget disk, tape and as a download for £9.99, £4.99, £4.99 and £1.99 respectively (plus shipping) via their Binary Zone Retro Store.